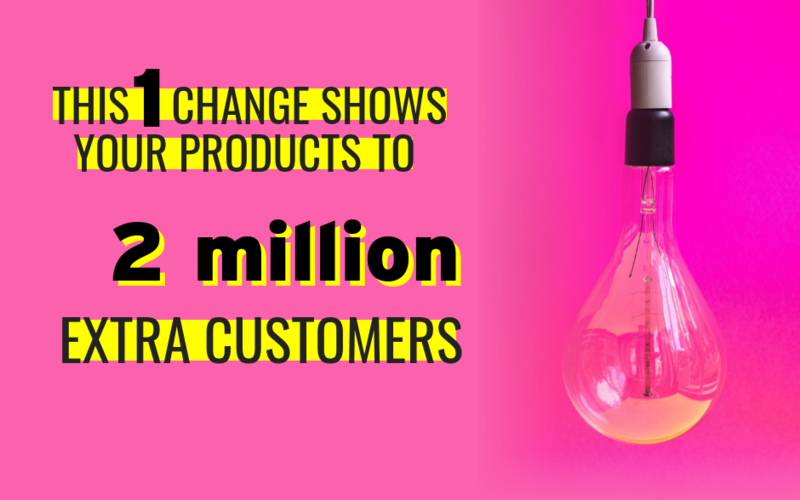 If you could change one thing on your social media channels which allowed your products to be seen by another 2 million people would you do it? Pretty sure you would! And you’re probably already doing it on your website! January 4th was World Braille Day and while this tip doesn’t include braille, it does allow you to get your content seen by people with a visual impairment. Potential customers who would be using a screen reader to access the internet. 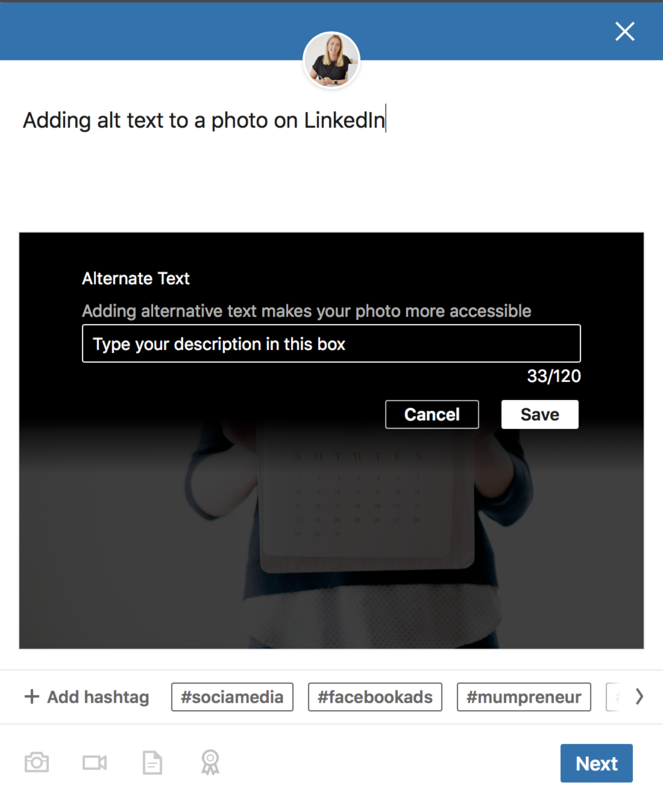 By adding alt text to your images on social media you will allow visually impaired customers to be able to ‘see’ your products. This short video explains how you can add alt text on Facebook. You can add alt text to your images on all platforms & I have provided instructions for each below. Make sure the description makes sense to the person hearing it. Don’t stuff alt text with keywords. Be very specific about what is in the image. Describe colours, size and anything else that is essential to know. All the things you’d want someone to spot if they were looking at it. Select the image you want to add alt text to. This article from Twitter’s help desk will assist you in adding alt text when you compose your Tweet. When adding your post on LinkedIn you are given the option to describe your image. Simply add your description to the box as shown above and press save. Then go ahead and create your post as you would usually. Do I have to add alt text? In short no, but doing so is a huge help to visually impaired website users. I am a big advocate of equality and accessibility as my own son is severely disabled. If you are unsure about whether you should bother adding alt text then imagine how difficult it must be to navigate busy shops with a visual impairment and how much easier it would be if you could simply shop online. By making your brand accessible to all, you will grow a very loyal customer base.